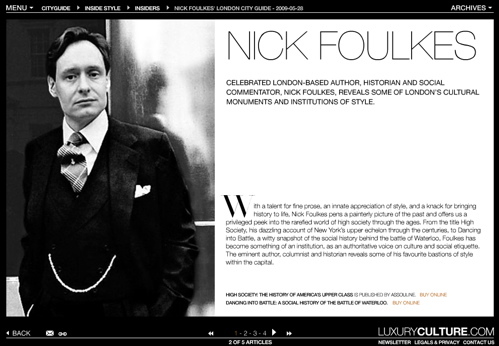 This entry was posted in Cultivating and tagged Assouline, London, Luxury Now, Nick Foulkes. Bookmark the permalink. Wow. The linked site is incredibly annoying: every new window goes to full-screen mode, and they’re slow to load, too. But it is an interesting site.